We provide convenient scheduling opportunities during the week and over the weekend, so you can choose the time when heating repair will work best for you in Davidson. Have you begun to notice that your heating unit is not as efficient as it used to be? Are you concerned that it is making noises and you are worried that it may need servicing? 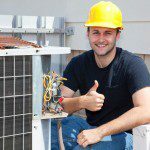 When it comes to heating repair, you should always call a professional team to assist you to ensure that your unit is working properly. At Cool Comfort Heating & Air, we can assist you with heating repair that keeps you comfortable in your home all winter long. 24-Hour Service – Sometimes you discover you need heating repair in the middle of the night. When you work with us, you don’t have to worry because we offer 24-hour service to meet your needs any time of day or night. Convenient Scheduling – When you need to schedule heating repair but you still have other obligations during the week or over the weekend, we have a solution for that. Our goal is to provide convenient scheduling opportunities during the week and over the weekend, so you can choose the time when heating repair will work best for you. Years of Experience – We have been serving the Davidson, North Carolina area for over 15 years, and we are dedicated to providing expert solutions for all your heating repair needs. Don’t let heating repair put a stop to your day or make you take time away from more important things. Just give us a call at Cool Comfort Heating & Air to schedule an appointment, and we will work with you to find solutions. We are locally owned and operated, and our trucks are equipped to handle repairs for all brands of heating and cooling equipment. We are your trusted source for all your heating and cooling needs. Contact us today to get started.